Looking for an economical flybridge cruiser?. 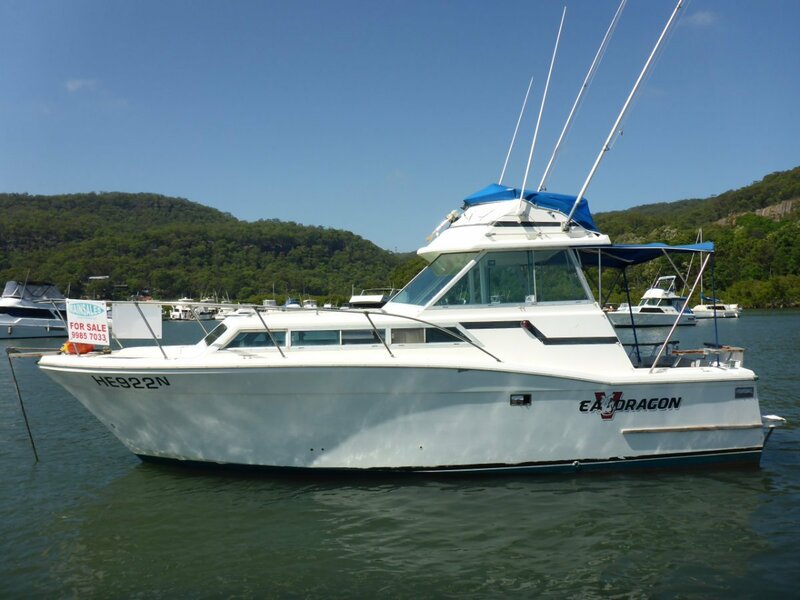 SEA DRAGON could be the one for you. She is a circa 1983 Mariner 25 powered by a Volvo 165HP FWC diesel engine running through a Stern drive. Uses approximately 10L / hr. Galley with fridge and Rinnai gas cooker.